City's Maritime Operations and Management postgraduate students have been now permitted a total of three exemptions from a nominated four of the qualifying exams of the Institute of Chartered Shipbroking (ICS). 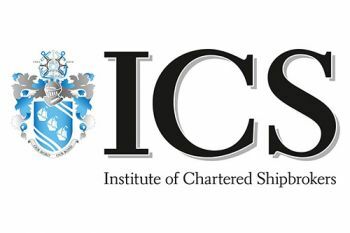 Students on City University London's MSc Maritime Operations and Management programme have now been granted a total of three exemptions from a nominated four of the professional qualifying examinations (PQEs) of the Institute of Chartered Shipbroking (ICS). These exemptions represent the maximum that the Education and Training Committee of the ICS will permit in future. Three exemptions from the following will now be allowed: Introduction to Shipping; Legal Principles in Shipping Business; Economics of Sea Transport and International Trade; and Maritime Insurance. "This is a welcome development for students on the MSc Maritime Operations and Management course. We are certain that this bodes well for students who desire to pursue opportunities for continuous learning and professional development and who wish to enrich the pool of talent within the maritime industry as a whole". The ICS, with 4000 individual members and 120 company members, is a major provider of education and training to shipping agents, shipping brokers and shipping managers throughout the world to undertake their respective roles. The ICS sets and examines its own syllabus.